As the lights blink twice and finally the green signals go, I press the throttle and spring out to an early lead. All I have to do is maintain the lead and utilize some items to defend myself against the inevitable waves of turtle shells. I make solid use of the drifting and jumping mechanics to both manage the course’s twists and turns and to pick up a few mini turbo boosts to keep my lead intact. 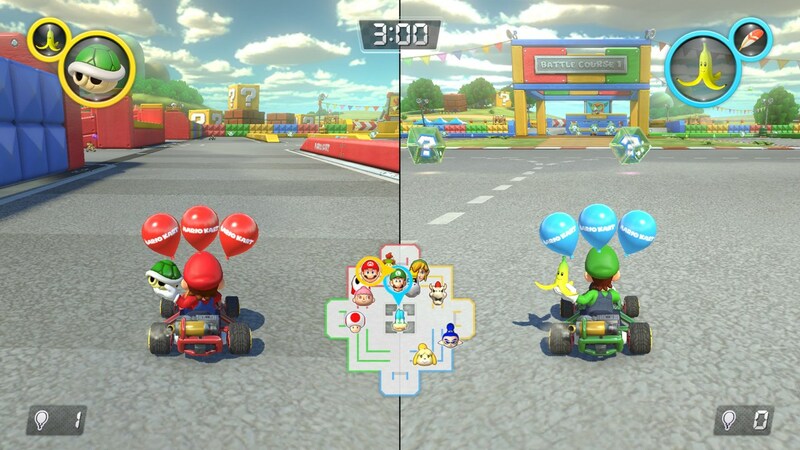 Things are going well until about halfway through the final lap when the dreaded, unblockable blue turtle shell icon pops into view on the bottom of the screen. I brace myself for the inevitable. As my kart comes to a bouncing stop following the blue explosion, my character flails his arms about as if he’s on fire. He seems to have no intention of hurrying his foot back to the gas peddle. By the time my kart finally responds to my repeated attempts to get back in the race, several other racers have already gleefully passed me by. Though I’m sure I’ve already lost the race, I may just have enough time to get back into the top 3 if I hurry. Nevertheless as I round another corner and set my sights on the racer in front of me, another turtle shell blindsides me. My character goes back to his sitting and flailing routine from just a moment ago, as I watch the racer I nearly passed disappear around the corner. A few more racers pass me before I can get going again, but the last turtle shell was just the beginning of a barrage of more shells and other such animated ammunition headed for me. I count at least 3 more hits and a few more racers passing me by as I resign myself to inevitable defeat. How did it come to this? I was doing so well. I spent the first 2 and a half laps leading the pack. Victory was within my grasp. It all happened so suddenly. As I wonder how it all went so wrong, I feel rage swelling up inside me. I have to stop myself from hurling my controller through the TV by reminding myself that this is ostensibly a game for kids and families. So I calmly search for the strength to be generous in my defeat as I grin and bear another 9th place finish. I have just described for you the ending of every 200cc race I've taken part in. There may have been a few exaggerations, but the last leg of the final lap is a painful affair that typically results a vast exchange of turtle shells and placement changes. This is, of course, the new more challenging 200cc mode that is made to give experienced players a tough task if they want to unlock Gold Mario. 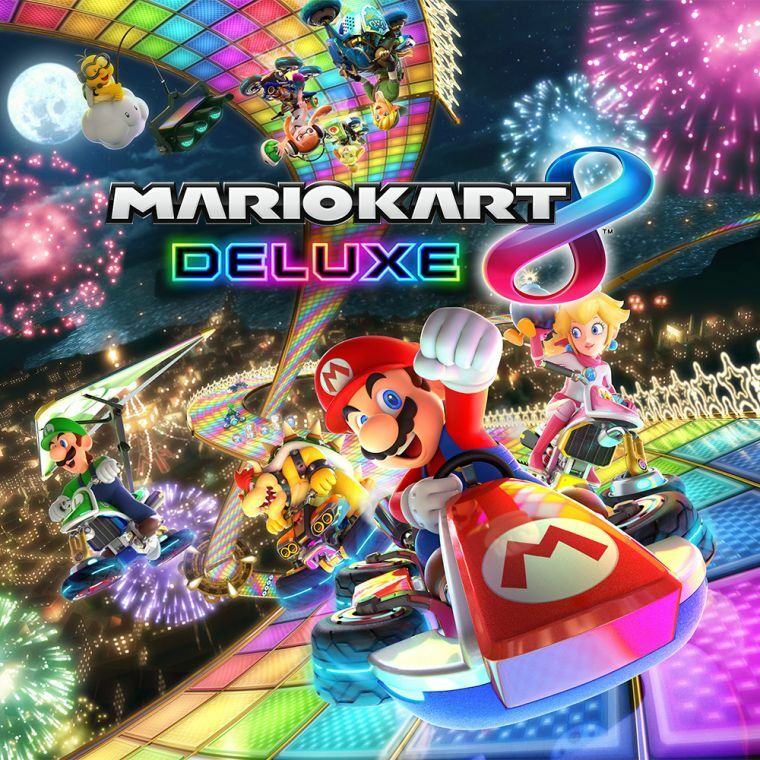 Despite this, at times infuriatingly difficult mode, Mario Kart 8 Deluxe remains as fun as every Mario Kart you've ever played and the fun is exponentially higher if you have some friends to play with. The battle modes are excellent and one of the things that’ll keep the game going with groups of friends over online or local multiplayer gameplay sessions. Even race modes are quite fun with the added emphasis on drifting and timing jumps for mini turbo boosts. There are also a lot of customization options in terms of characters, karts, wheel types, and gliders, all of which have an impact on stats (weight, acceleration, top speed, handling). This ability to mix and match to create unique combinations adds a fair amount of replayability as well. You’re likely to want to try out just about everything in order to find something that both looks cool and gives you the best mix of speed, acceleration and drifting performance. 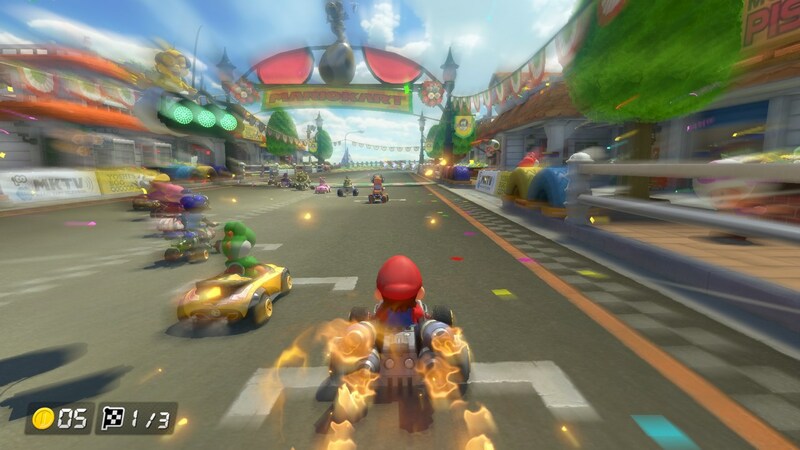 While there are no shortage of racing games out there for a variety of platforms, Mario Kart remains one of the best with its mix of easy to grasp, tough to master driving and drifting, and its huge roster of characters across all of Nintendo’s properties. It’s the one racing game that’ll appeal to everyone. It's also largely in competition with itself, but it's bound to do pretty well. The Wii U didn't sell very well and the Switch version of the game offers a dramatically better graphical experience to Nintendo’s other mobile offerings. The Nintendo Switch’s 6.2 inch 720p screen offers 236.87 pixels per inch (PPI) compared to the 95.59 PPI on the 3DS XL’s 4.88-inch screen - The Verge wrote up an interesting piece about how much better, graphically speaking, the Switch is compared to other Nintendo mobile platforms. And that’s before you consider that you can dock the Switch for a 1080p experience on your TV. All of this makes the Switch version of Mario Kart the best looking version yet. Each track is so beautifully constructed and creatively designed that it hints well at the vast number of unique properties Nintendo has to pull from. There were times I couldn't help wishing the animation that served as the introduction​ to each course lasted just a bit longer. Don't get me wrong, these are all simply redesigns of tracks introduced in past games, but they've never looked as good as they do here. On the one hand, reminding myself that the Switch is underpowered by comparison to its competitors only begs the question of what they could do with more powerful hardware. But on the other, the games produced for the Switch so far have been definite proof you don't need the most cutting edge specs on the market to make truly stunning games. As someone who hasn’t owned a Mario Kart game since Double Dash on Gamecube (I did play the Wii version from time to time though), it’s been an absolute blast getting back into a game I grew up playing. And maybe one of these days I’ll be good enough to earn Gold Mario by winning all the races on 200cc. And don't to worry, Luigi is still there to give his trademark death stare.